I have my doubts about polls and Social Security because too frequently I find that the wording in the coverage fails to match the wording in the poll. 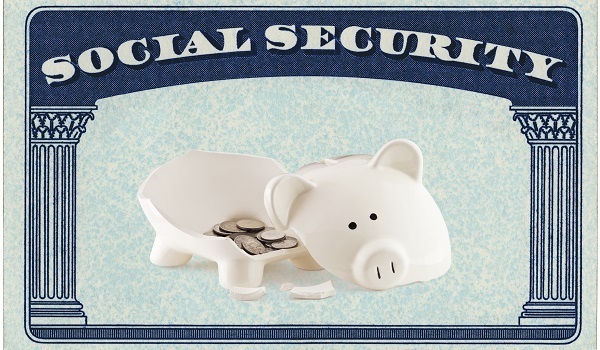 Recently USATodayran a piece entitled “Social Security’s Future.” The gist of the piece is that 80 percent of Millennials question whether Social Security will be there for them, and argues that this worry is misplaced. I have my doubts about polls and Social Security because too frequently I find that the wording in the coverage fails to match the wording in the poll. In this particular case, politicians would emerge to capture such a large block of voters if a serious consensus on the future of the program really existed. The article, however, uses this wall of worry as a backdrop to set-up its all-is-well, no fear message. The article cites a broad consensus among experts that average benefits will rise in real terms even if insolvency trims checks by 25 percent. How can reduced benefits increase faster than inflation? The result depends upon the possibility that wages rise faster than inflation. Historically they have. Given that Social Security rewards earnings, rising wages will make the program close the gap in buying power created by shortage of money or “insolvency.” The only question is the number of years. It may be 40 and it may be 100. Reality is a lot less certain than the promise. At the same time, you need to understand that his estimates are based on wage growth that the U.S. hasn’t experienced in the last 60 years. Moreover, his “10 percent more” means that for workers would pay 50 percent more in payroll taxes to generate roughly the same benefit. Realize that the problem isn’t 40 years away any more. These reductions appear to be coming online in 12 to 16 years. So it may take a generation or two to bridge the gap. People on average turning 70 today expect to be alive in 2034. The Primary Insurance Amount (PIA) for these individuals is set, and these retirees would experience sharp reductions even in the face of rising wages. The only way for the program as a whole to offset these losses in terms of average benefits would be for new retirees to have sharply higher benefit levels. This means that the nation would watch more advanced seniors struggle, while younger retirees would experience relative growth in buying power. Given current law, I have my doubts about the conclusions in the article because the benefit reductions legislated in the 1983 reform continue to filter into the benefits formula. The National Academy of Social Insurance (NASI) estimated that average cumulative reduction in benefits due to reforms passed by Congress in 1983, driven mainly by a gradual increase in full retirement ages from 65 to 67, will be more than 20 percent. On top of these reductions, insolvency might add another 25 percent reduction. For example, soon enough, people who file early will experience 30 percent lower benefits rather than the 20 percent cut felt by many beneficiaries today. Moreover, the taxation of benefits is reaching a wider audience every year. More recently, the government limited some filing strategies that enabled seniors to maximize their checks. One of the most popular myths is the belief that “payroll taxes themselves, already in place, can pay 75 percent of benefits.” This simply isn’t true. The system also collects revenue from the taxation of benefits. While the revenue is barely visible at this point, it is projected to approach $100 billion by 2026. I don’t know the millennial mind. 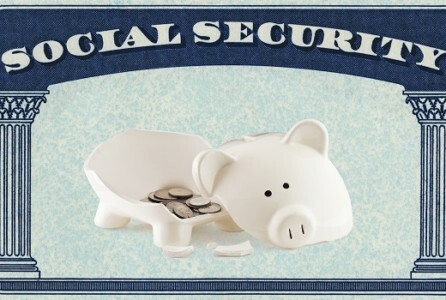 It well may worry about Social Security, but I think it tends to focus more on student loans. In any case, the problem isn’t how Social Security will serve the Millennials. Our problem is how it will serve their parents, and even grandparents who are already on the rolls.